If you want to have a long-term career as a gigging jazz musician people have to be willing – no, EXCITED – to give you money in return for your music. That can mean physical CDs, downloads, streaming, gig tickets or all sorts of other ways of getting paid, but the money needs to end up with you, right? 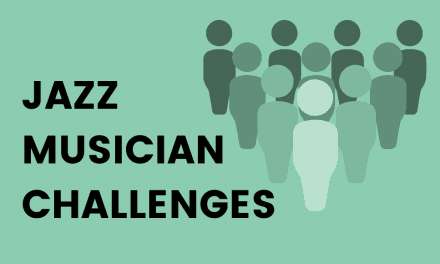 If you are set on building and maintaining a career as a full-time jazzer, your mailing list may well be the most important thing you have – and I’d like to explain why. There’s a famous marketing phrase: the money’s in the list. It’s true, but it’s about more than money; that’s just the end result. Building a strong mailing list and interacting with the people on it grows casual followers into fans. It lets you develop relationships with these people on a large scale and to motivate them to be part of your team. They’ll buy your new record, they’ll come to see you play when you’re in town but, more than that, they’ll also spread the word about you and help you reach even more people. Er, What’s A Mailing List? For you as a jazz musician, this is the email address and, ideally, name of anyone who has expressed an interest in being kept up-to-date with what you are doing. Building a mailing list is a bit like saving money. You start collecting emails and see them trickling in, one by one. It seems so insignificant and distant from anything substantial. But eventually, over the months and years, you realise that you have started to grow something with real value and that there are some pretty exciting things you can do with it. And, on the flip side, realising aged 30 (35, 40, 45…) that you haven’t started yet can be pretty painful – trust me. If that’s you: DON’T worry about it. Mailing lists have come a long way since the old days of pen, paper and postal addresses. They’ve even come a long way since the ‘old’ days of taking down emails at a gig and putting them in a list on your computer to send emails to. Now, you have properly advanced technology at your fingertips; not just to collect emails but to manage, track and grow your relationship with the people who subscribe to your mailing list. Interest someone with your music and then get permission to keep in touch with them. There are various online services out there which can be used to collect, store and use email addresses. 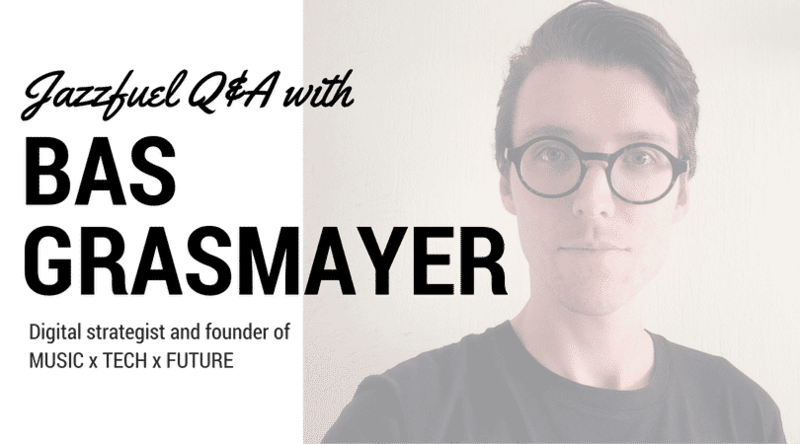 A lot of the big players in the DIY musician scene – Reverbnation, Bandzoogle, Hostbaby – have built their own. To me, though, that feels like too much of a side-business, next to making websites, distributing your music or listing your upcoming gigs. I prefer using a marketing service which has built a whole company around email. Mailchimp* – with 12 million users around the world – is one company which ticks the box here and it’s what I use for the Jazzfuel mailing list. That also means I can answer your questions about it, if you have any trouble setting up! Whilst Mailchimp is probably not advanced enough to interest serious full-time marketing professionals, it’s stylish, intuitive and does everything you’ll need it to do as a professional musician. 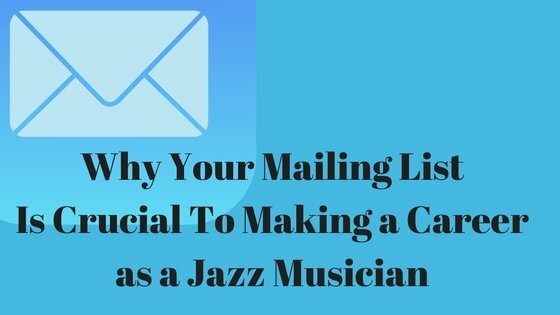 Where Can I Build My Jazz Mailing List? All being well, people are most motivated to be part of your project directly after a gig. This is the time when you can actually make some money selling physical CDs as people want to take home a (signed) memento of the evening. It should also be the time when you give jazz fans a very clear and easy way to join your list. I’ve seen musicians set up a direct-to-mailing-list app on an iPad which is great, but old fashioned pen and paper works fine too – as long as you input them into your Mailchimp account later. Just announce at the end of the gig that you will be saying hello, signing CDs and collecting email addresses after the gig. As we all know, people spend a LOT of time on Facebook. By posting regular, relevant, shareable and high-quality content, you can reach new jazz fans and spread your music. Once someone is on your Facebook page, get your best content in front of them: featured music video, streaming tracks, promo photos, etc. Then, ask for their email address so you can connect with them off of social media at a later date. If you are using a service like Mailchimp, there are clear set up guides for integrating this. Remember: Facebook, Twitter and the like may not be here forever – just like MySpace before – so although it’s important to make the most of these platforms whilst they are popular, email addresses give a much more in-control and secure way of keeping in touch with people, for the long term. If someone comes to your website, it’s quite likely they either know you already or are keen to learn more. Maybe they heard you on the radio (or Spotify…) and Googled you. Maybe they just want to see when your next gig is. Do You Like Pizza & What’s Your Favourite Jazz Song? In today’s world, data is power and the more you can have the better. For example, if you know a fan is based in a specific town, you can send them custom messages when you play nearby. If you know their favourite singer, you could let them know if you do a cover version. The first name is very important as, with this info, you can set up your emails to talk to people directly by name. And higher engagement and transaction rates mean more eyes and ears on your music and more money in your pocket! Of course, social media is super important in creating a buzz, introducing new people to your project and engaging, in real time, with fans. But it takes only a second to ‘like’ or ‘share’ something and the effects are not always too powerful on their own. Giving someone your email, on the other hand, is kind of a big deal. I read every email I get. I can’t say the same thing for my newsfeed. If ‘liking’ something on Facebook is like smiling at a friend in the street, giving your email is the equivalent of giving someone your address and telling them to pop round for a chat sometime. It’s the chance to develop a real and lasting relationship with someone. What to do with an email address? So you got a new signup on your mailing list; now what? 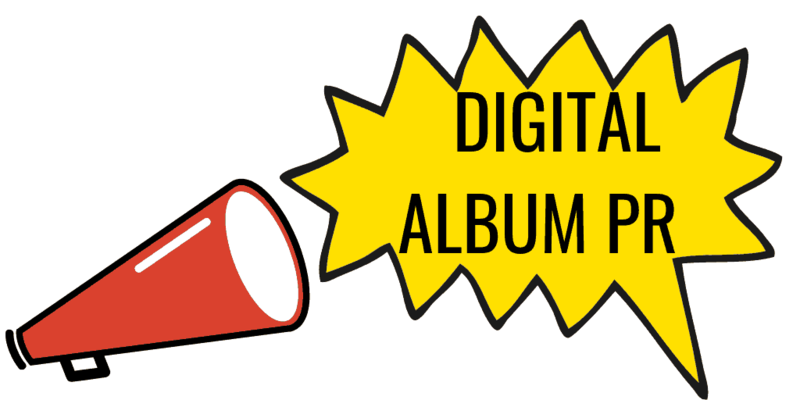 A lot of musicians use mailing lists just to contact people when they have a new album out or tickets on sale. Or maybe they fix a period – like a ‘quarterly newsletter’ – and find ‘news’ to put in. To be really successful, your email strategy needs to be more sophisticated than this. Share a cool new video with a little backstory on how you shot it. Behind-the-scenes or exclusive content from your last studio session. A playlist on Spotify that you made for them, mixtape style. It’s also important to develop a dialogue with these people and to get them used to clicking on your mails and seeing you in their inbox. You actually want them to look forward to reading what you send so that on those times when you have something to sell to them – or to ask them to do you a favour and share something – they are ready and willing. When it comes to using mailing services like Mailchimp, collecting addresses is just the beginning. These platforms give you the opportunity to pre-write one or more emails to be sent at specific times. 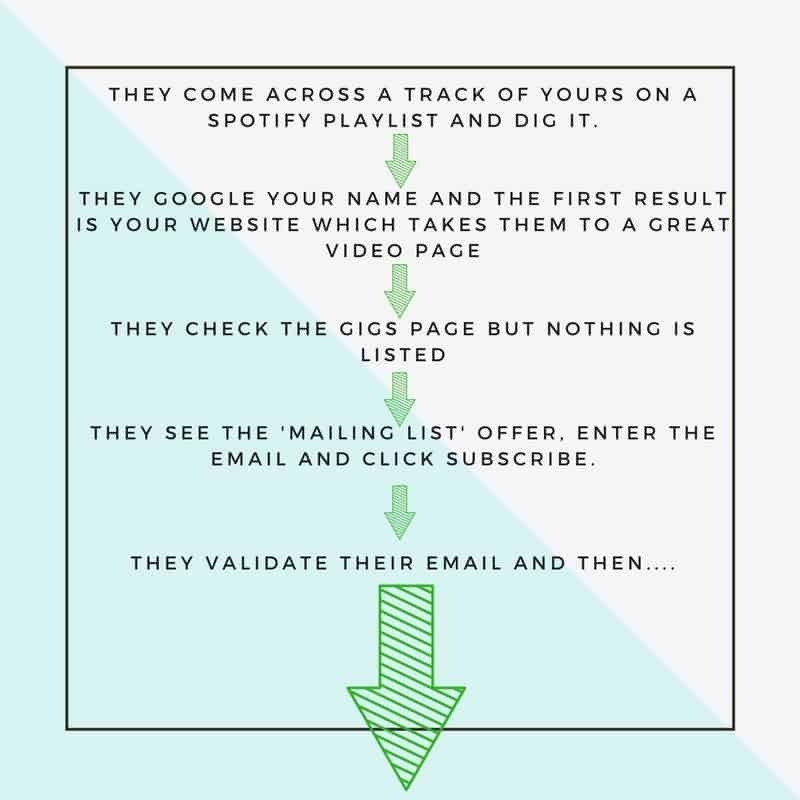 Automating the first few emails a new subscriber receives is a bit planning a few anecdotes to tell on gigs. It might seem contrived to those who know what’s going on, but isn’t it better to plan and give your audience the best stuff you have, instead of insisting on making everything up as you go along, in a hit-or-miss fashion? The most common example of automation – which I’m sure you’ve experienced outside of music – is the welcome email: you sign up to a mailing list on a website and you get a welcome email. I’m not talking about the “please confirm your address” note that some people send. I’m talking about the next one, ideally a few seconds later, which properly welcomes you to the list. This welcome email is so common across many industries but when it comes to jazz musicians, I struggled to find many good examples. I signed up to quite a few musicians’ mailing lists (including many from the Jazzfuel database) and the silence after sign up is pretty deafening! Making a short automation series that people will receive when they sign up to your list builds a stronger connection with this person. In terms of putting this into practice, you need to make a short list of content that you want people to see, with a short message behind each one. Then, write your emails – 5 in this example – and put them into the ‘automation workflow’. Now, every time someone joins your list, they will be taken through this cycle over a 2-4 week period to be properly introduced to you and your music. Need a (free) ‘welcome series’ plan? Your subscribers will get a rating based on how much they open and click when you send an email. You can then approach the most engaged people to help you out with some street-team or social media work, safe in the knowledge that they will probably be excited to be involved. You can segment people who’ve bought specific records from the others, so you can avoid offering them music they already have. You’ll also know, though, that they are a big enough fan to order physical copies of your albums and can contact them with special deals on other records. Mailchimp and it’s competitors can also tell which country or city someone is living in, based on the IP address when they open your emails. So you can even target different groups of people for different tours, instead of annoying people on a different continent who would love to come but can’t travel halfway around the world to make it happen! Technology is both a blessing and a curse when it comes to mailings. Used correctly, you can send highly relevant mail to a large (and ever-growing) group of people which moves them closer to you. However, it also makes it far too easy – the simple click of a mouse – to throw out mails to large numbers of people, many who are not relevant. Possibly the best feature of professional mailing services – especially if you are booking your own gigs – is that you can separate promoters and journalists from fans. It’s of course super important to keep in touch with these different groups, but in very different ways. Fans want the details and the access. Promoters need to be fed news and press to be driven to action. This is of course an extreme example and these bands didn’t really stand to lose anything – we’d have never worked together any – but STILL. It’s a waste of my time. It’s a waste of their money, assuming they are paying for space on their mailing list. And there’s just no point. SEGMENT and mail just the right people! Without going too far down the technological rabbit hole in this article, the other MASSIVE advantage you gain from building and using a mailing list is the data. As a bare minimum, you’ll see how many people are opening and clicking on your mails. This lets you know what people are finding interesting. You’ll see who is clicking on the stuff that is making you money, like CDs and tickets. You might even want to reach out directly to them. You can also see – once you have built your list a certain amount – which areas, geographically, are most engaged with what you are doing. Tell a promoter in that city and show them the data. Ask the people there to recommend you to the local jazz festival or club. 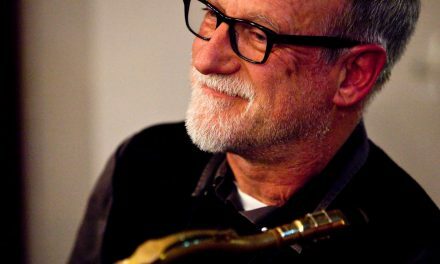 Get Started (or re-started) with Your Jazz Mailing List… NOW! Essentially, your mailing list is a long term asset that, if managed properly, will help you for years to come. You grab the casual listener passing by and invite them inside the VIP area. You share your best content with them and let them get to know you. By the time it comes to an album release or a gig, you are not ASKING them to give you money, you are giving them the OPPORTUNITY to buy your music! If you build a strong relationship with the people on your list, you have hundreds or, eventually, thousands of people who look out for your emails and will communicate with you directly. If you’re a gigging jazz musician, I’d imagine that you’ve probably already got a mailing list of some sort, no? 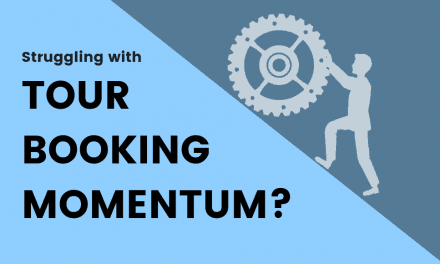 But take a step back and be honest: are you really using it to it’s full potential – as a serious asset in building your career and earning money through your music – or are you just going through the motions and firing out a newsletter every few months? Any questions? Get in touch via the comments section below and I’ll do my best to answer! *DISCLAIMER/OFFER: If you sign up to a paid Mailchimp account via one of the links in this article, we’ll both get $30 of credit in our accounts. I only recommend Mailchimp as I’ve used it for more than 3 years and have very good experiences with it! 1. Deliverability is quite low, usually between 20-30%. Mailchimp says that this is normal, and there are many reasons for this (the biggest issue is that email clients are against unwanted mail, often called “spam”). I think that we should NOT use Mailchimp when reaching out to promoters in order to get gigs. Individual mails are much more effective in this case. 2. Subscriptions from forms (website or Facebook) are very low. Our band had under 10 since we have the signup forms. I guess this is because it is getting old fashioned to sign up for a mailing list, people are lazy and busy. The most effective way to get them signed up, in my experience, is by kindly asking for their email in Facebook message, AND telling them that they will be on their mailing list. This way we do it for them, and they skip the confirmation email. 3. Mailchimp reports are not 100% accurate. Even our band is Romanian, I get a lot of opens in the US, and this on my list of Romanian contacts. I think this is related to the browser language, as many people from Romania use the English version of the browser. Also many people did not click the SHOW IMAGES button, so the tracking for the report does not even happen. 4. Gmail puts messages from mailing lists in the Promotions tab. There are reasons for this too, but I get this told a lot, and I think this is the #1 reason why people do not see our emails. 5. I also get many reports that our mails get into the spam folder. Every time I get a report, I ask people to click the NOT SPAM button, I read that this helps. However, I still think that Mailchimp is still a great platform and that it can be very useful to musicians! It is also free for the first 2000 contacts, which is more than enough for most jazz musicians. What I usually do, I often manually add emails I find online (contact emails for festivals, agents, contests, promoters, newspapers, friends, and (most important!) emails from Bandcamp sales) without asking them. Although this might be a bit abusive, unsubscribes have been quite low. Although some people just click on the email and delete it, they most probably find out about your album release or new gig by simply reading the subject, which can be great word of mouth! 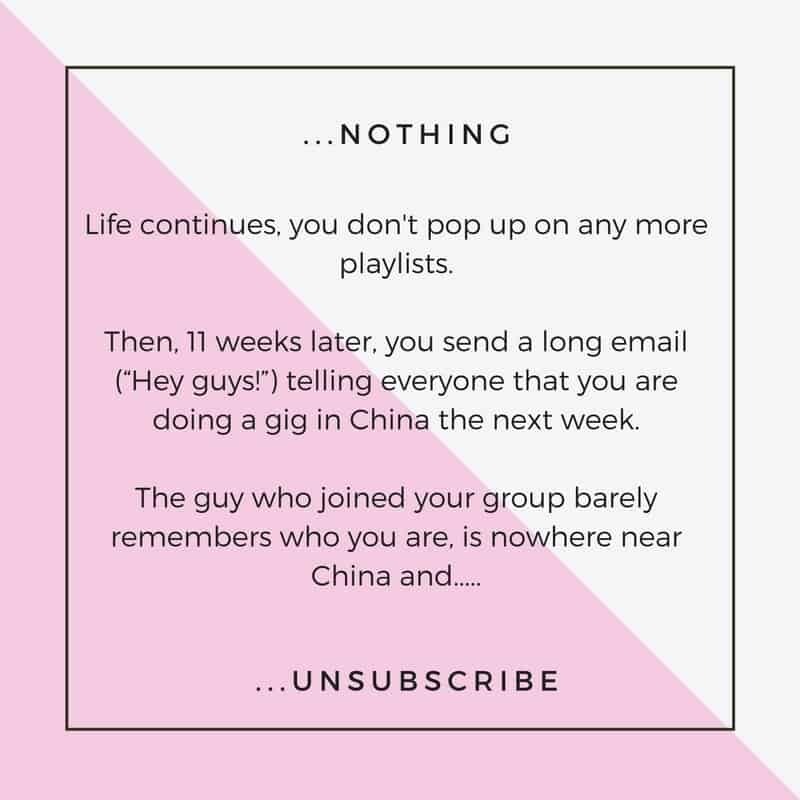 – Sure, mailouts are not the answer – on their own – to booking gigs and connecting with people. I’m sure a lot of promoters are noticing (unsolicited) mailouts and deleting immediately. It also shows a slight laziness; if someone is that important to you, you should take the time to reach out personally. As an agent, I find that mailouts are good for broadcasting news and updates, if they are then followed up with personal emails (possibly decided by who opens/clicks the initial contact). As an artist, connecting with fans by Mailchimp (or similar) is a lot more acceptable way to update a large group of people without seeming rude. Tools like auto-inserting first names (I will go through that in the article) also help a lot and allow you to be personable with a large amount of people. 1. If, by ‘deliverability’ you mean ‘open rates,’ then this is something that can be improved by making sure that the content of the email is really what people want, so that they get into the habit of opening. If you blast upcoming dates for countries where the recipients are not based, for example, they will remember the mails as less useful. 2. Signup forms: for sure, it’s not easy to get someone’s email address these days. It’s a way to reach them at any point of any day and, quite rightly, people are more and more careful of who they give it to. If your goal is to build an mailing list, you need to be using strong call-to-actions (CTAs) on your Facebook/website and giving people a good incentive to sign up. 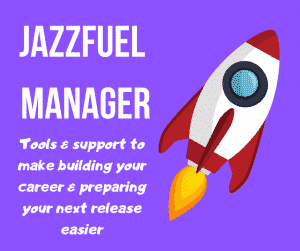 I currently have 913 people who have signed up to the Jazzfuel mailing list via the website so it is certainly possible. I’ll go into more details in the article. 3. Yes, Mailchimp reports cannot be 100% accurate. I find it’s good enough to give you an impression – over weeks and months – of how you are doing though. 4. I don’t use promotion tabs on my gmail so I’m not sure about this. Again, though, if people are excited to receive your mails, they will generally look out for it and see it. 5. Ditto with Spam, people need to help by reading and marking it as not-spam. The better quality your list is though (i.e. no out of date emails or people who don’t want to be on there), the less chance there is of you being marked spam. There are a few other technical things I will go into in the article too.